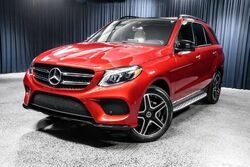 Why Buy a GLE from Us? Mercedes-Benz of Arrowhead has been serving the West Valley since 2008. We know that our customers expect a higher quality of service, and we have built our reputation on delivering and exceeding that expectation. After treating you to an unforgettable luxury car shopping experience, we will be there to care for your Mercedes-Benz with factory trained service professionals to make sure your vehicle the respect and care that it deserves. Allow our highly trained staff to take care of you throughout the entire buying and owning experience. Visit Mercedes-Benz of Arrowhead today to see what we have in store. How does the 2018 GLE Compare? The Mercedes-Benz GLE is an established leader in its segment—but don’t just take our word for it. To highlight how the GLE SUV performs against the competition, we conducted a few model comparisons. Explore the chart below to see how the 2018 GLE SUV stacks up against the Range Rover Velar and the Lexus GX 460 in key areas like pricing, capability, and performance. For the full comparisons with each model, select the links in the respective boxes. What does the GLE have to Offer? 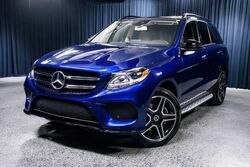 A midsize vehicle available in both SUV and Coupe configurations, the Mercedes-Benz GLE can adapt to multiple driving needs and tastes. The SUV configuration is offered in both standard and AMG® models while the coupe configuration is only offered as an AMG® model. The SUV configuration is larger and more practical, making it an excellent choice for active families. The performance-orientated coupe configuration was built purely for the love of driving, meaning it’s a match made in heaven for driving enthusiasts. Both the GLE SUV and GLE Coupe offer an upscale, premium driving experience. Innovative technology features, modern comfort systems, and thoughtful convenience amenities surround both driver and passengers to enhance life behind the wheel. Both configurations are also equipped with smart driver-assistance systems and advanced safety features to provide confidence and peace of mind behind the wheel. 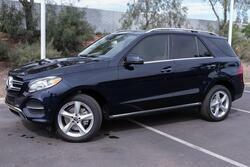 4MATIC® all-wheel-drive is available on both models. or contact us via email with the fom below. Simply enter your name and contact information and we will contact you with our most competitive price quote.